Do you remember the great moments that the Habbo Hotel gave us? Now you can remember it with this fantastic clicker style game, or tycoon, in which you will have to manage the hotel and for that we will be buying the rooms as we accumulate money. You will have to wait for the objects in the room you have bought to give you benefits. These benefits should be used to improve those objects to make them give more money and also to do it more quickly. When you have enough money accumulated, you can buy new rooms and in them you will find other objects that will also give you profits. Get rich with the Habbo Clicker hotel. 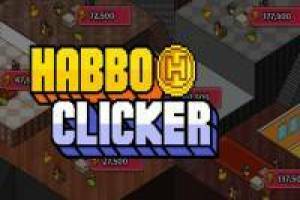 Enjoy the game Habbo Clicker, it's free, it's one of our hotels games we've selected.